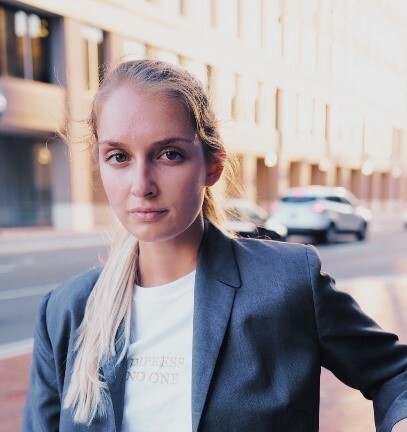 Morgan Morris, a master’s student at the University of Central Florida, recounts her life-changing experience as the President of the 2019 Class of IRF Fellows. Morgan's participation in the IRF Road Scholar Program was enabled through the generous support of Transpo Industries, an IRF Member. After the short span of a week, a graduate research IRF Fellow transforms into an approachable, professional leader overflowing with inspiration and ideas. “In some ways, attending the IRF Fellows Road Scholar Program is comparable to going to an all you can eat sushi buffet. You are not sure what exactly you signed up for, but in the end, you realize it may have been the best decision of your life,” according to Morgan Morris a Master’s student at the University of Central Florida who joined eleven other transportation students from eleven countries for the leadership program reserved for IRF Fellows in Washington DC on January 9-17, 2019. “The beginning of this journey starts with entering my hotel room which I will be sharing for the next nine days with a total stranger from a different country. After some small talk it becomes clear, that despite the cultural differences, every Fellow is here because they are passionate and strong leaders at their university”. The IRF Road Scholar Program started on Wednesday in the IRF Global Training Institute with a seven-hour classroom setting series of presentations that focused on Leadership and practical advice to hone our networking abilities. This year’s program of field trips began with meetings at the World Bank, coordinated by an alumnus of the IRF Fellowship Program, Dr. Leslie Mills (Class of 2012). The twin goals of the World Bank are to reduce poverty and achieve shared prosperity, by increasing the quality, sustainability and safety of the world’s transportation infrastructure and services. “My eyes widened to realize that my degree can save lives on a global scale” Morris added. The following day, the Fellows toured the Federal Highways Administration’s Turner Fairbanks Research Center, a facility which houses more than 20 laboratories conducting applied and exploratory research in road design, human factors, and vehicle-highway interaction. “The Saxon lab was so inspiring to me because of their very innovative research topics, such as smart cars that test new algorithms, pedestrian detection devices on the windshield, and roadside to onboard detection unit systems. A number of us will be utilizing this type of research throughout our careers” confided Morris. Industry is another key driver of applied innovation. On January 16, the IRF Fellows were introduced to Bechtel’s new Innovation Center in Reston, Virginia. The operations manager, Steve Curtis, presented the history of Bechtel and several of the company’s current projects, such as a cable bridge in Detroit. Oher innovative infrastructure tools presented on this occasion included 4D models of designs, wind tunnel tests of bridges, drone application videos, BIN 360 (all of the project is on one single database) and virtual reality tours of bridge projects. The Road Scholar program is traditionally timed to coincide with the Annual Meeting of the Transportation Research Board. Team-building is an essential component of the IRF Road Scholar Program, and the good natured bridge-building competition or Jeopardy-style final exam offer a reminder of the importance of teamwork. “During the Bridge-Building competition exercise the teams were told to build a bridge made of entirely edible components with a budget of $20 in a matter of a few hours. My group ended up with cucumbers, Graham crackers, icing and a few straws. Despite our efforts to go into such detail as designing boats out of Graham crackers and crossing signals from a cucumber, the simplest design won the competition due to the quality and creativity of the team’s answers to the judges’ questions. Throughout the Program our teams were also judged on our networking skills, how we presented ourselves during interactions, questions we asked at any field visit or leadership presentation, our ability to complete homework assignments, being on time for events and our ability to function as a cohesive team”. “As I reflected at the end of the “sushi buffet” I realized that we all came as strangers from different cultures and we are leaving as friends, bonded over a sincere desire to be a force in this industry. IRF has instilled knowledge, networking contacts, and most importantly a passion for transportation that I would have never gained elsewhere. For all of these reasons, I extend a tremendous level of gratitude to IRF and I encourage everyone who is reading this article to get involved with, and become financial donors of, the IRF Fellowship Program. Your actions will contribute to the positive development of the next generations of transportation industry leaders all over the globe”. Morgan Morris is a master’s student at the University of Central Florida, in Orlando, Florida. She got her bachelor’s degree from UCF in Environmental Engineering. Her master’s thesis is on Pedestrian Safety around the UCF campus, in which she has distributed a thorough survey on the topic to 500 UCF attendees and is undergoing the data analysis currently. She also has participated in alternative intersection data collection and analysis for multiple research projects. Morgan recently has won the WTS Leadership Award, an IRF Fellowship and was a student finalist in the Florida Section ITE Annual Poster Competition. She hopes to integrate her knowledge on environmental engineering with transportation for a safer future on a global scale. 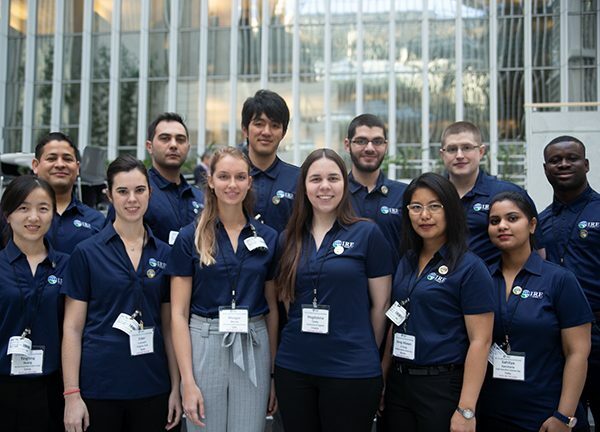 The IRF Fellowship Program was established in 1949 by the International Road Federation (IRF Global) as a catalyst for educational and professional achievement by students of transportation disciplines. It occupies a unique position in the industry, having supported nearly 1,424 students from 118 countries, many of whom have returned to successful careers in academia, industry and the political sphere. The support provided by the program has substantially changed the lives of many alumni, providing access to academic credentials and professional networks which would otherwise have remained out of reach. IRF Fellowships are largely funded through the generosity of corporations, governments and industry associations around the world. We need your help to ensure highly qualified applicants such as Morgan can fulfill their dreams of continuing their education. Please take a moment to read how your organization can reap benefits by getting involved with the IRF Fellows Program. For more information, please contact Patrick Sankey, IRF President & CEO at psankey@irf.global or +1 703 535 1001.